Why retirement is the right time to make clients home work for them. The UK housing market continues to grow with the average house now worth £211,671, with an annual change of 2.9%. Upward trends in property prices are a definite advantage for UK homeowners, who can use their property portfolio to finance their ambitions. Yet it is one thing to be asset-rich, another to have the cash flow to achieve your goals. If clients are over 55, this is where equity release could help. Equity release through the use of a lifetime mortgage is a popular way to access some of the value that has built up in the home over the years, providing your clients with a tax-free lump sum. In fact, it is so popular it had grown by 61% in the first quarter of 2017 when compared to the first quarter of last year . The key advantage being that this lifetime mortgage has no fixed end date, or required monthly repayments. This financial product opens up a number of different avenues for homeowners over 55 when it comes to upsizing, downsizing and, indeed, rightsizing. Lots of reports focus on the importance of the first-time buyer and how difficult it is for young adults to get on the property ladder. At the other end of the spectrum is the last-time buyer, who may be finding it equally difficult to locate the right property for them. 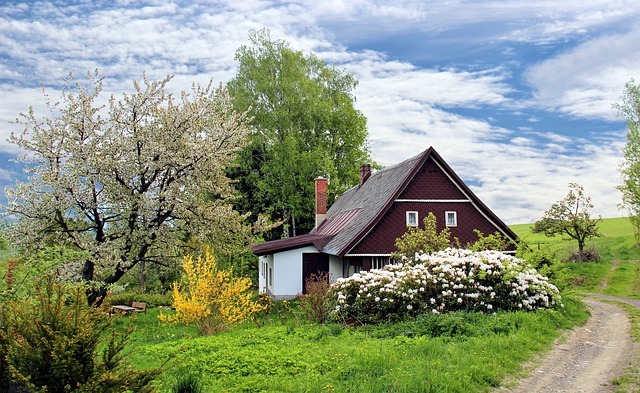 People can feel under pressure to downsize because of the natural decrease in the budget post-retirement and the cost of running a larger home when the children have flown the nest. A lifetime mortgage could negate the need to sell the house entirely. In fact, this type of equity release offers clients the chance to take advantage of their property wealth now. By releasing some of the funds trapped in the property they can boost their income in later life and use the capital to completely renovate the home, adapting it to meet future needs. This may include expanding the square footage of the property with a conservatory or annexe. Then again, they could convert existing space into something more valuable, adding an extra bedroom or a downstairs bathroom, for example. Continuing to live in the home is a popular preference because it avoids the upheaval of moving, and the associated costs. It is a common misconception that equity release makes it difficult to move house in due course. In fact, many plans allow clients to transfer the lifetime mortgage to another property, subject to the new property meeting the lender’s criteria. If they need or want to move to be closer to friends, family and vital services, equity release needn’t be a stumbling block. The variety of plans on offer mean the client can choose a plan to suit them, both now and in the future. For example, if they choose a drawdown lifetime mortgage plan, they can release an initial tax-free lump sum now, whilst creating an interest-free reserve fund for the future. This could then be used as a gift for loved ones or as a rainy-day fund for some of life’s ups and downs. This isn’t the only reason you can make decisions with confidence; with plans from Equity Release Council approved providers clients have the security of the no-negative equity guarantee. Your clients will never owe more than the value of your home and will not pass on debts to their heirs, and they will remain the sole owner of their property for life. You can refer these clients to Responsible Equity Release, an award-winning name in Lifetime Mortgage brokering. They’ll even handle the customer journey on their end, meaning you won’t have to deal with compliance. Click here to find out more.